The projected Padres rotation heading into the 2017 season is a patchwork of free agent signees. They desperately need some homegrown, young talent to stabilize matters and climb out of the N.L. West basement. The closest Padres product would be Colin Rea, who under went TJ surgery in November. The Padres even traded Rea over to the Marlins at the trade deadline, but then got him returned for the Luis Castillo swap. Robbie Erlin wasn’t drafted by the Friars, but has been around the system since 2011 and is also on the DL from TJ surgery from back in May 2016. An examination of the past UTR-OAS lists isn’t a convincing audit that help is on the way. The roster from 2014 was an ensemble of fringy arms. Long forgotten 1st round pick from 2011 would be RHP Michael Kelly, who could quite possibly sneak into a rotation spot sometime in 2017. When Kelly made the OAS mention, he just completed a repeat performance at Short Season Eugene, but as a starter. The 2013 season working from the bullpen was indicative of a top round choice. I wrote of Kelly (after the 2014 season) that he may have caught the development wave. He took a step back in 2015, which saw his TPS (.183) spike almost 100 points from 2014 (.088) during his first season of full-time ball at Fort Wayne and Lake Elsinore. Last season, he made it through three levels to Triple-A El Paso, and though his numbers were pedestrian, his TPS fell to .106. Very respectable, which leads me to believe he will be in PetCo at some point this season. The other pitchers waiting their turn at Triple-A are: Bryan Rodriguez, Kyle Lloyd, and 2016 “One to Watch” Dinelson Lamet. I’m still high on Lamet and really like his 20% strikeout rate during his time at Double-A San Antonio. Lamet, as well as Lloyd, went on to repeat as a UTR-OAS in 2015 and got the “Legit UTR” tag. Lloyd possesses a split-finger fastball which could be the best pitch within the organization. Keep an eye on him in 2017. Another “Legit UTR” is Adrian De Horta who has been in the Padres system since 2013, but has yet to unharness his wares. He hasn’t been able to break free from the Padres rookie leagues only throwing 87 innings over the last two seasons. The 21-year old right-hander has struggled with his control and showed improvement in 2016 from the relief role. My 2016 “One to Watch” Thomas Dorminy had a see-saw season in 2016. He started off well at LoA Fort Wayne and labored at HiA Lake Elsinore, though seeing a bump in his K9 rate. Lastly, Emmanuel Ramirez wraps-up the periphery arms from the OAS list in 2015. Only 22 years old, Ramirez made his U.S. debut last season making his way to Fort Wayne. 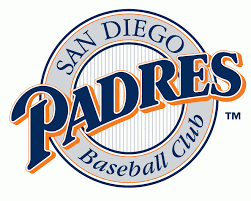 If your dynasty team is set for pitching in the next couple years, it might be best to watch for movers within the Padres low minors. The the next two seasons worth of UTR-OAS may provide a few decent arms to stash in 2018 or 2019. This entry was posted in 2016, 2016 Post Season UTR Organizational All-Stars, Articles, Pitchers and tagged Adrian De Horta, Anderson Espinoza, Andrew Lockett, Brad Wieck, Brett Kennedy, Bryan Rodriguez, Chris Huffman, Chris Paddack, Colin Rea, Dinelson Lamet, Emmanuel Ramirez, Jacob Nix, Jean Cosme, Kyle Lloyd, Kyle McGrath, Logan Allen, Luis Castillo, Michael Kelly, Pedro Avila, Phil Maton, Robbie Erlin, Thomas Dorminy, Walker Lockett. Bookmark the permalink.